All good things must come to an end and sadly the Northern Series, our very first WFTDA sanctioned tournament was no different *sob*. 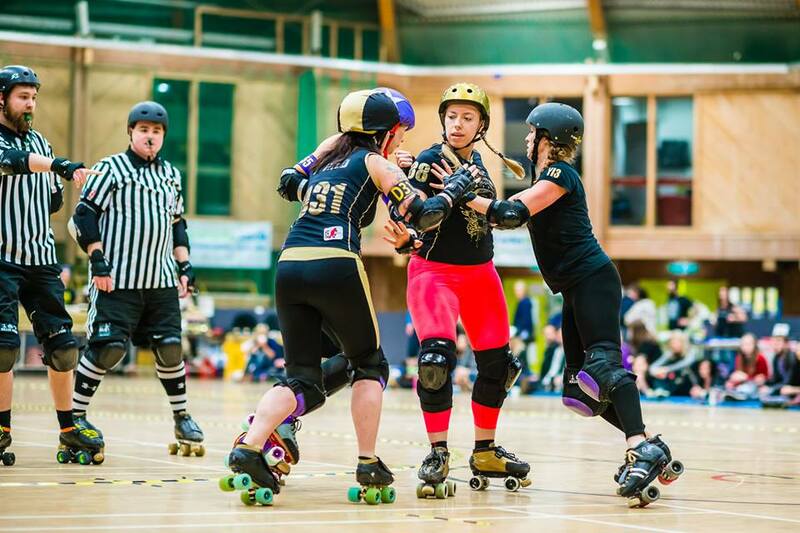 After six super intense match ups between Newcastle Roller Girls (Canny Belters – A team), Middlesbrough Milk Rollers, Rainy City Roller Girls and Leeds Roller Dolls it was time for the matches to decide 1st, 2nd, 3rd and 4th. NRG had the privilege of hosting the final, and they weren’t disappointed with a fantastic crowd and an electric atmosphere. First up, NRG played Rainy City Roller Girls to battle it out for third place. A month before, away at Middlesbrough, NRG beat RCRG 168-137 in a game which NRG dominated and RCRG never held the lead for. Going into the final game of the series was going to be different for both teams. Kalamity James number 88 for NRG explains: “RCRG exceeded all expectations when they played at WET (WFTDA European Tournament) against some of the best roller derby talent Europe had to offer. They jumped up about 30 places in the rankings! So we always knew this was going to be a challenging game for us. 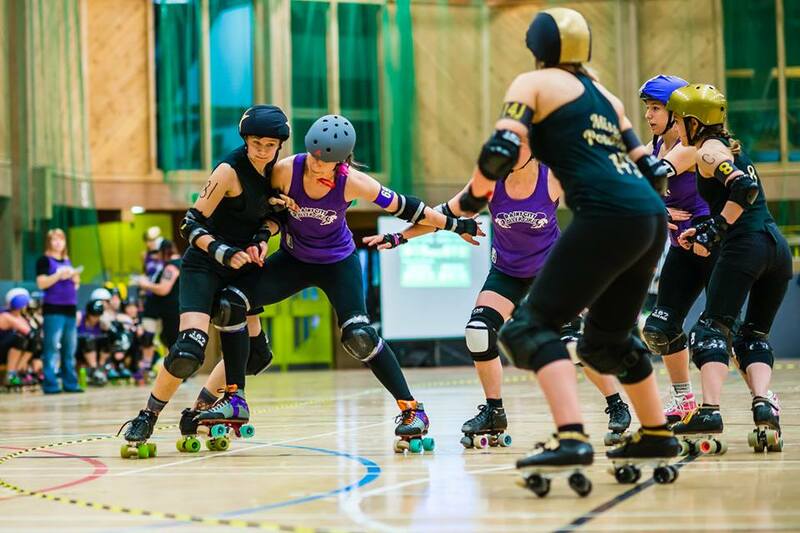 “It was made particularly hard for us with the loss of three out of four of our primary jammers and also one of our A team blockers due to injury, non-availability or roster shuffling! We always knew it was going to be hard to match our full roster performance from the month before. “With their confidence bolstered after WET, Rainy came out fighting, obviously learning from their last game with NRG, they played offence virtually every play to break up our strong walls and we were left playing catch up. 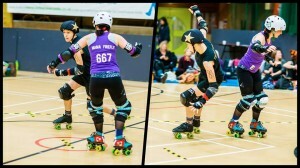 “RCRG took the lead early on. 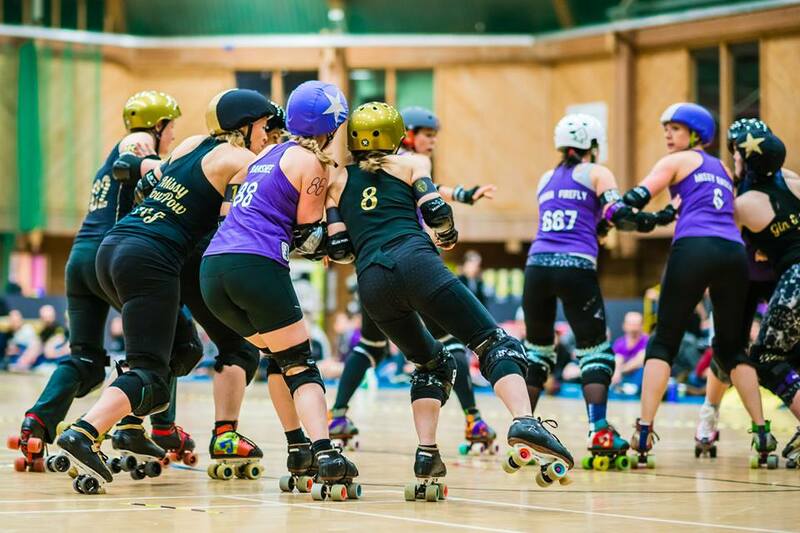 Our crossover and secondary jammers did a great job but NRG found it difficult to play offence on RCRG last time, and without the might of our usual jammers, and the offence problems we were stuck much longer in the pack than we’d like to. 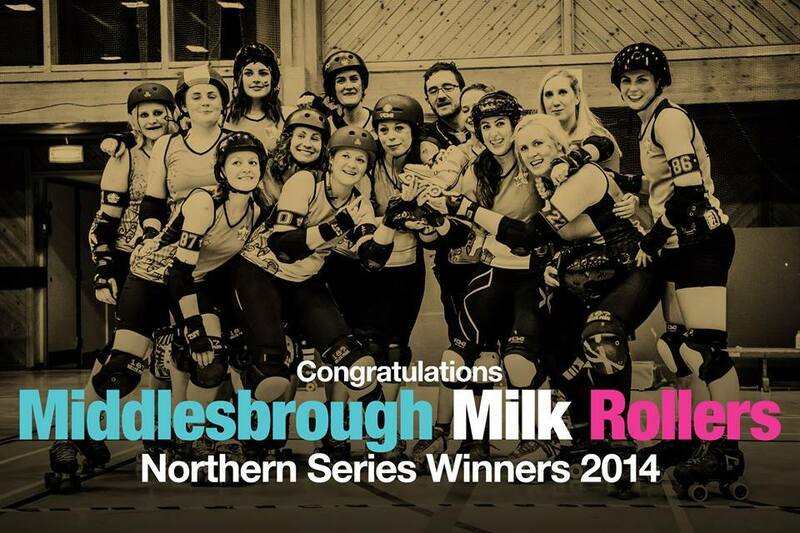 In the final, our north east sisters Middlesbrough Milk Rollers won the trophy, we were very proud of them, well done ladies! We had a great time playing against all of the teams, and the series really showcased the extremely high level play that the north has to offer. NRG were really proud to be part of the tournament. Let’s hope for more of the same next year! Our rankings at the end of the year will stay roughly the same as we were at the start, but we did get our first WFTDA worldwide placing straight in at 165 ahead of 59 other teams in a 224 league strong list and one of only 21 European teams that made it.